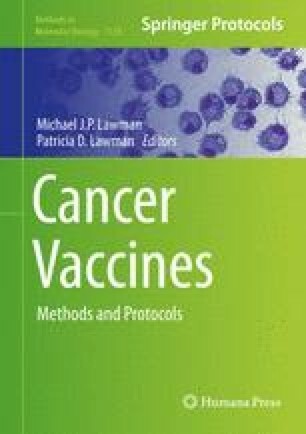 Just like any other effective immunization in medicine, cancer vaccines need to have antigens with particular specificity and immunostimulatory features, the immune responses to be elicited in the body, and therapeutic effect—regression or prevention of the cancer—must be meaningful and clinically observable. There are many choices for cancer antigens, such as tissue-specific proteins, cancer-specific proteins, class I- or class II-restricted peptides derived from those, or in situ and whole-cell-derived products are some examples. Another translational issue is that cancer patients are heterogeneous with respect to the extent to which the immune system is already activated with potential to impact the tumor growth or, conversely, the extent to which the immune system has been impaired through a prior and ongoing interaction with the tumor. Conventional or immunologic tests have potential to define a subset of patients with better chance or response, so that particular vaccines can be tested. Treatment of cancer patients is expensive, and trials are slow. To meet these challenges in practical terms will require not only careful scientific technical work for product development, coordination with clinicians to define patient subsets with diseases that can show responses, but also a comprehensive, practical implementation so that we can unlock the full potential of anticancer vaccines.